A little bit tricky to build in as a beginner, but it looks so damn good. 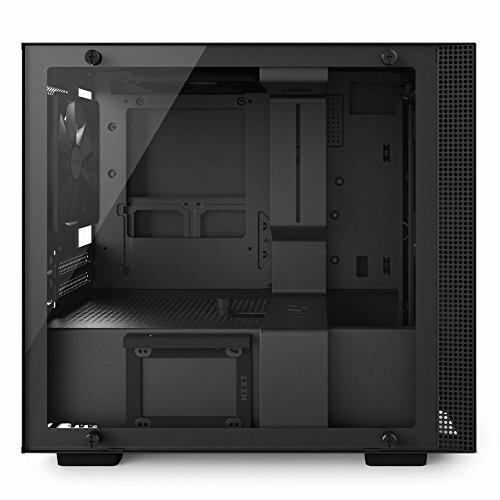 I love minimal design, so I'm glad there's no unnecessary "gamer" geometry going on with this case. AWESOME deal from Newegg, very lucky find. 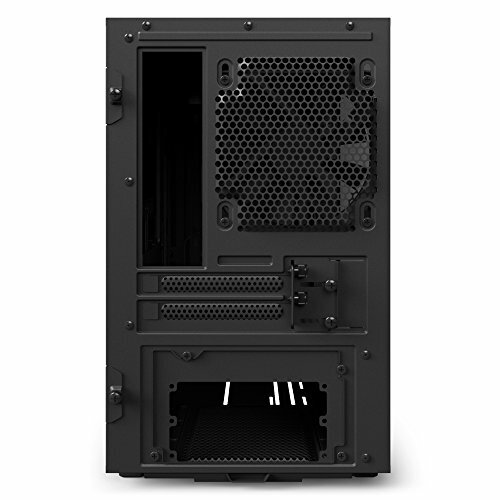 This is the best midrange-high level case you can find and it's MSRP is $125. Using a Newegg discount code and a $30 rebate I got it for nearly half price, which is incredible for the value. 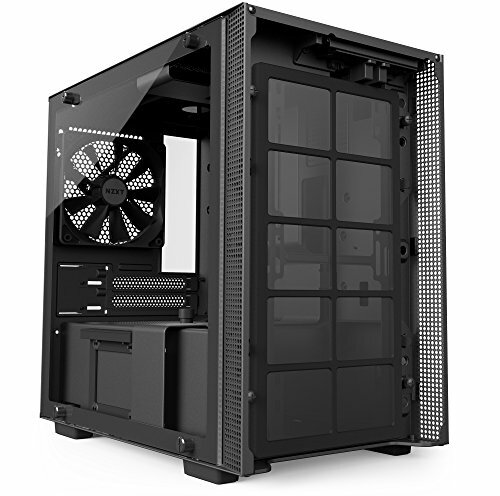 Comes with all the case fans needed and 2 RGB strips and all the LED connectors needed, with ample cable management space and areas to thread wires to the front. Oh, did I also mention HIGH QUALITY TEMPERED GLASS TO SHOW OFF THAT SWEET, SWEET BUILD?! This thing is top notch. This is a very well-built, beautifully minimalistic case. For the price, though, it's expected that it be solidly built. 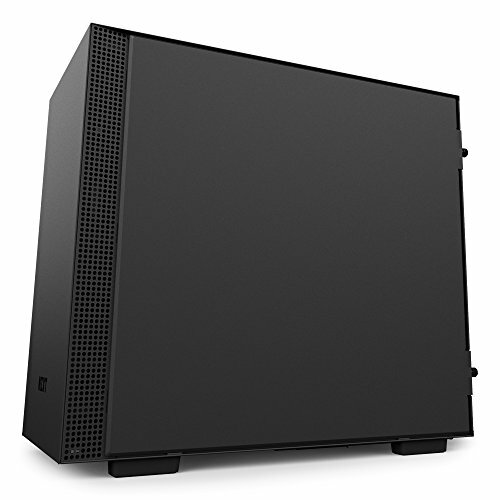 For $130, while it sounds steep for a metal box, if tempered glass, good airflow, RGB, and pretty good included case fans are important to you, I think a good case regarding its value could be made. My only concrete gripe with this case is that the 3.5" drive location is flush with the bottom of the case, which caused issues for me, but may not cause issues for others. Overall, the airflow and subdued aesthetic have made me really like this case. Cons: - Had to remove the top fan, and then I can't use the dust filter since it's fitted between the fan and case. Had to buy some small magnets to fasten it. Love this case. Initially was going for the non-i version, but then realized how much money I could save on a fan controller / rgb controller if I got this. CAM...well, it's not without it's bugs, but it does the trick. This case was very simple and fun to build in. Man I LOVE this case. 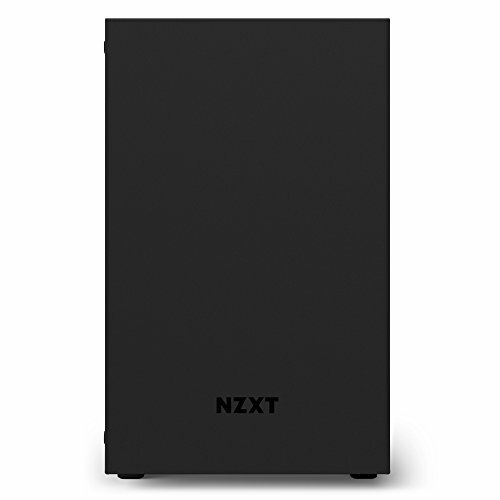 It gets a lot of flack for being an mATX sized case with the hardware limitations of an ITX case but tbh, I think this is why I like the case so much. Building in this bad boy is an absolute dream, even considering the fact I am running a D15S. Yes, you read that correct. A Noctua D15S fits in this thing if you remove the top fan. I opted to go with a SFX power supply and even managed to squeeze an NF-F12 between the PSU and the PSU shroud to provide more airflow to the GPU (The case's only flaw). If you like the styling and can afford to lose some desk space this is 100% worth the cash. Great case, little dirty on the fact it doesn't use Hue 2 as that's an extra purchase you'll need to make.